A kitchen’s backsplash can make a whole world of difference, methinks. Not only is it practical, it also ‘prettifies’ the room, especially when done with taste and sophistication. 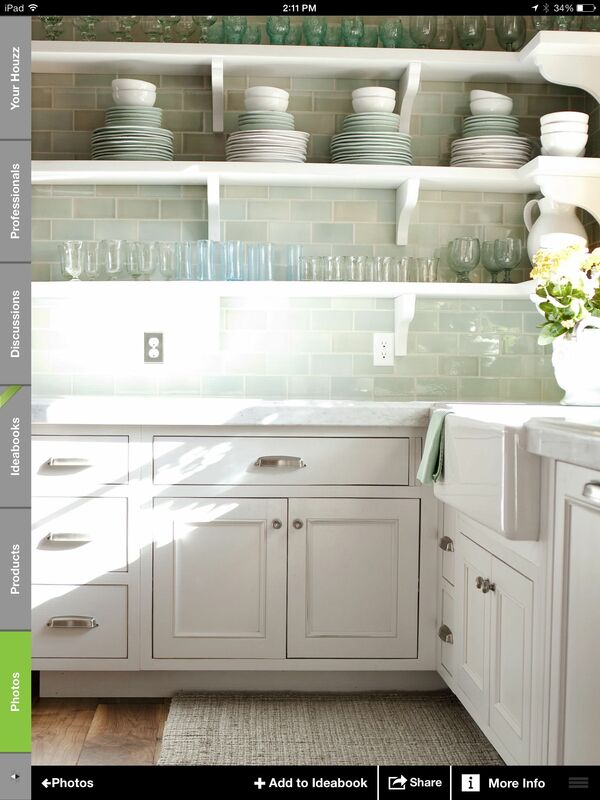 I love this kitchen designed by interior designer Katie Ridders. 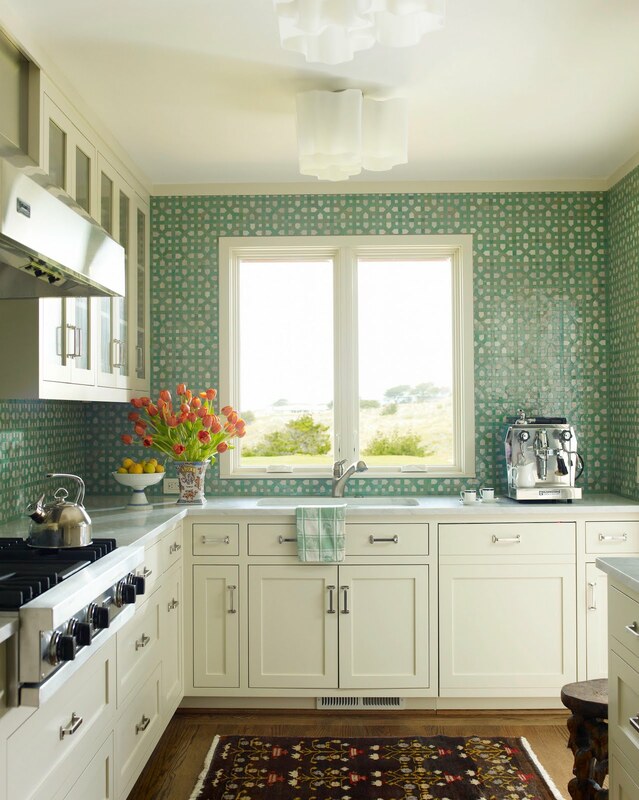 The counter to ceiling backsplash made from aqua mosaic tiles gives an otherwise plain room some character. 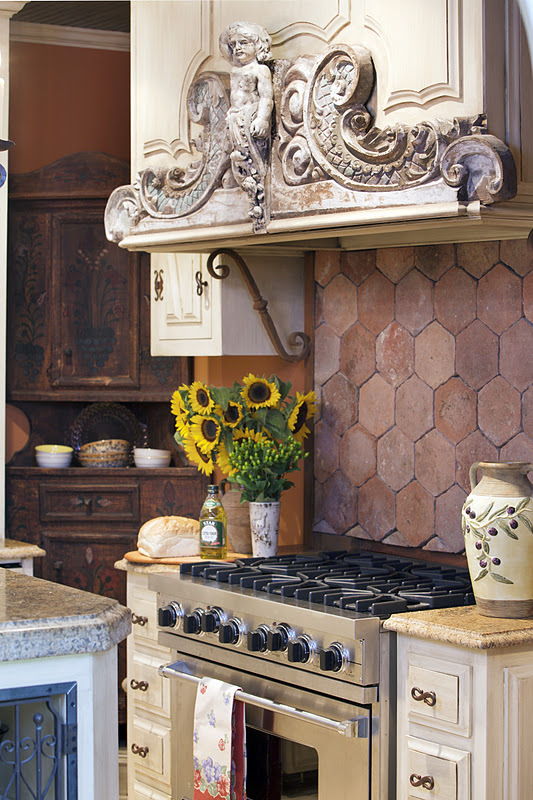 The patchwork styled backsplash of this kitchen is truly one-of-a-kind. And it would have looked so cluttered, too, if not for the blue shelving and cabinetry that pulled everything together. 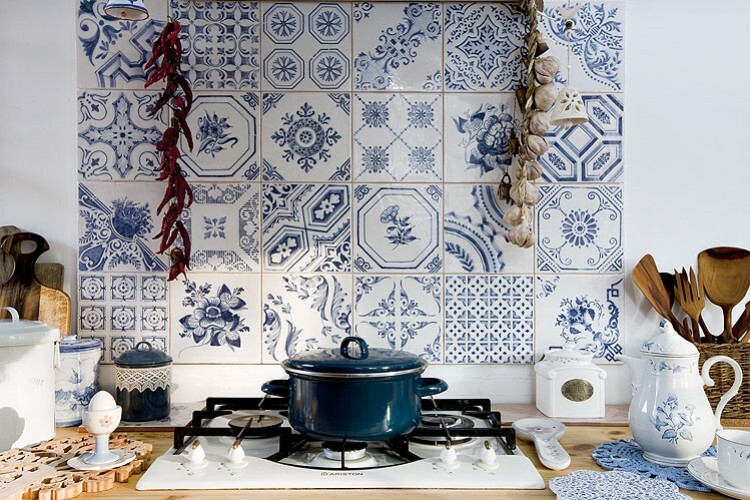 Here, beautiful white and blue Portuguese tiles or Azulejos adorn the wall– a perfect little kitchen vignette if you ask me. If colors are too overpowering, one can also opt for muted pastel tiles. Just make sure you have coordinated plates and glasses to make everything look perfect! I love the combination of the blue and yellow Moroccan tiles set against the red cabinets and shelves in this kitchen. Finally, I appreciate the simplicity of this backsplash made of handmade terracotta tiles. In a country home, it is perfect. I just don’t know how the homeowner has managed to keep the unpolished tiles look so clean. As always, please click on the photos to get to the source. 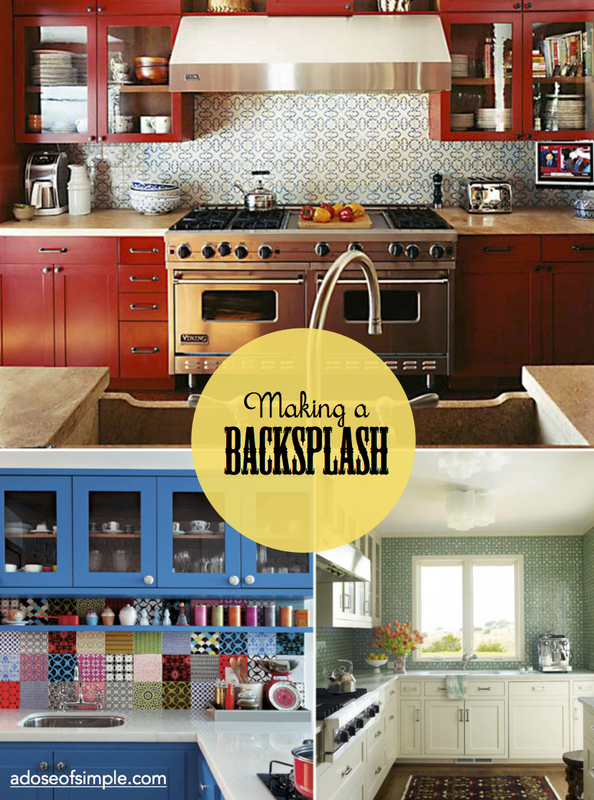 Hi Pauline – great info about patchwork backsplash ideas. Would you have any info on where to source the blue and white Portuguese tiles shown over the stove?